The United Nations-backed Principles for Responsible Investment (PRI) organisation plans to open two new “regional hubs” to boost its global presence, according to chair, Martin Skancke. Skancke told the Responsible Investment Association Australasia (RIAA) conference in Auckland last week the UK-headquartered PRI had probably been “under-servicing” members in some regions. “We will be changing our structure and moving to regional hubs,” he said, confirming two new PRI offices would open, one in the Americas and another in Asia-Pacific. “We hope that will improve our services to this region,” Skancke said. He said PRI would also publish a member consultation document next month detailing a proposed shake-up of its rules and operational ambit. Skancke said some of the changes could include moving to a dual-member structure and opening up the PRI database – that provides information on how members are complying with the group’s six responsible investment principles – for comparative use by investors. Skancke said it could make sense to introduce an associate member category for those new to the PRI that may include a three-year “grace period” to implement the responsible investment principles in their organisations. As well, he said the PRI could broaden a pilot program where investment managers have been providing data on their responsible investment compliance. In September Skancke laid out plans to update the PRI framework in 2016 when the group – a broad coalition of asset owners, fund managers and service providers – will hit its 10th year in operation. At the time the PRI said the organisation was already investigating “systemic issues relating to the investment chain, such as outdated interpretations of fiduciary duty and supporting asset owners to put long-term mandates into place”, while scoping out other areas such as climate change and market “micro-structure”. 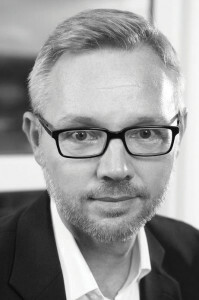 “These are important systemic issues that lie beyond the relationship between companies and investors and we need to establish whether appetite exists among our signatory base to update the Principles, for example by adding a seventh Principle on systemic risk, to reflect the increased importance of these issues for investors and the PRI,” Skancke said in the release. The PRI currently reports 1,380 signatories who collectively account for US$59 trillion. Over the 2015/16 year PRI has budgeted almost £7 million, mostly raised from member fees that range from £430 to £12,500. Just under 20 NZ entities have signed the PRI including nine investment managers and eight ‘asset owners’, most notably the Crown Financial Institutions.